Bear needs help with his shoelaces, but when he asks some of the other animals they all flee. He finally gets some help, but it may not be what readers were expecting. This is an amusing story told with minimal text and charming illustrations. Thanks to the publisher for a review copy of the book. This story is heart-wrenching. It's narrated by a young girl who lives with her family on a plantation. Every day the family wakes before the sun, the girl goes to Miss Sara Mae's with the youngest slaves, and the girl's brother, Ben, goes to work in the fields. But, one day, they discover Ben has escaped. The perspective of this book is unique as it tells what it was like for the family who is left behind. The end leaves the reader wondering, but also provides a sense of hope. Emma has been homeschooled her entire life, but is now starting fifth grade at a public school. This is a hard change for Emma who finds it more difficult than she thought to make friends. Emma's also fostering a pet rabbit she helped her father rescue. Emma's rabbit turns out to be a great pet who helps her find a true friend. This is a sweet, heart-warming story about making friends that emphasizes the need to be inclusive and empathetic. Cynthia Lord also includes information at the end of the book about her own rabbits which inspired the story. Thanks to the publisher, I received an advance reader's copy of the book and was able to hear the author speak about the book at the National Council of Teachers of English Annual Convention. The book publishes in March, but it is currently available through Scholastic Book Clubs. 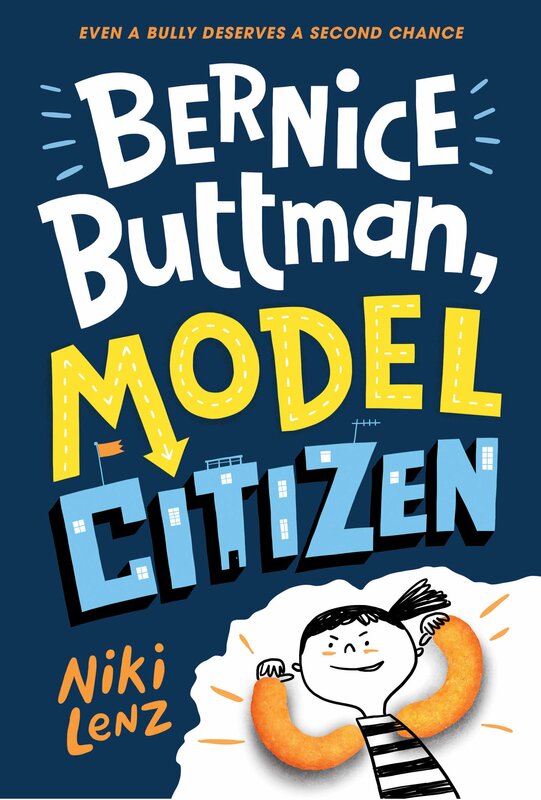 Bernice Buttman may be known at her school as a bully, but she really wants a friend. When her mother leaves her with her aunt in another town she has a chance for a fresh start. Readers will not only laugh, but also be rooting for Bernice as she tries to be kinder and friendlier. This is a very funny book, but the message about choosing what kind of person one wants to be is heartfelt. Thanks to the publisher, I received an advance reader's copy at the National Council of Teachers of English. The book publishes in March. I'm adding both Because of the Rabbit and The Bell Rang to my list -- both really spoke to me this week. Thank you for sharing, Lisa! The Bell Rang is on several posts today. We added it to TBR pile. Bear Needs Help looks adorable and your review intrigues me. I must now read! Because of the Rabbit really tugs at the heart so I know I need to add this to my ever growing TBR list along with The Bell Rang and Bernice Buttman. Have a great week Lisa! Each one sounds good, Lisa. I haven't read a book by Cynthia Lord in a long time. 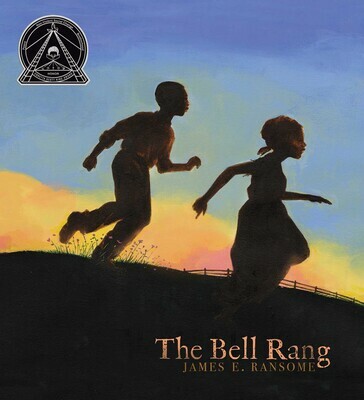 The Bell Rang is one I will be sure to find, you've intrigued with your description of Bear Needs Help & that last. It would be so hard to go from homeschooled to a regular classroom. Thanks! I am now looking forward to Because of the Rabbit by Cynthia Lord. The Bell Rang sounds like an important one too. Those all sound like very good books. 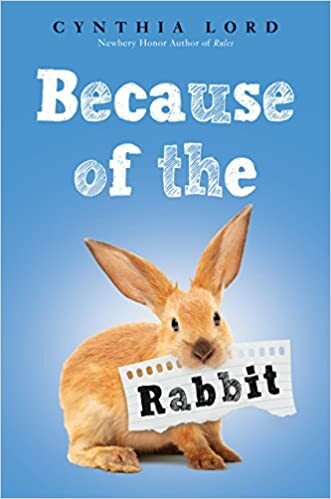 I am looking forward to Because of the Rabbit as I have enjoyed some of Cynthia Lord's past books. 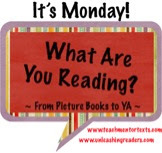 I am looking forward to all of these books except for The Bell Rang because as you saw, I read it too this week. That one just blew me away. I just got Because of the Rabbit through the book club!